I remember sitting in one of my first few yoga classes, a young lady of 22 years old, and getting ready for a spiritual (or inspirational for those who are not feeling the word spiritual or its kind) talk, and getting ready to “testify”. Okay, so you are now asking, what do I mean by the word testify? Especially being an atheist this may seem odd, but to testify is to exclaim in such a way that it lets the person giving the inspirational talk know that you passionately agree with what they are saying. So I shout out things like “Yes!”, or “Thank you!”… Now, I am from New Orleans and so such exclamations were common growing up… lucky enough, New York City embraces such fervent displays of approval… But during this one yoga talk, there was something that was addressed that I did not care for… did not care for one bit. The topic was based on the Sanskrit word vaśīkāra: the state of dispassion, in which an aspirant is no longer interested in even the charms of heaven and is no longer afraid of hell. Or in more real world terms, one should not dwell within criticism or praise, within horrific times or great times, feeling bad or great about oneself. One should always try to bring themselves back to a balanced, contented state. As a young lady sitting there with very low self-confidence, trying to deal with some anger and pain, I all of the sudden said out loud, “Why wouldn’t we want to allow ourselves to feel praise, to feel that we have value, to feel an overwhelming warmth of happiness?” Well, I think I was taking this lesson too literally, especially for someone who was living in the world as opposed to living a monastic life which is necessary to be in constant vaśīkāra. At that young of an age, my main goal was just to find a way to let go of those negative feelings that were weighing me down, to find a way to live a life of joy and happiness, to get away from my constant focus of trying to prove my worth… and in my mind, the way to do that was by achieving as much as I could, thereby gaining respect and approval from others…. then my existence would mean something; there would be a purpose for my life. And so I shrugged off this teaching thinking that I was not going to think about anything that made me uncomfortable or was not part of making me feel good about myself. Well, quickly enough, through time, my plan to only take in what made me feel good was not working out for me. I know all of you are shocked! I felt that I was going into a deep hole because my sense of self was dependent on endorsements from others. And so my journey was constantly rocky, uneven, and fraught with highs and lows. And then, one day, when I had gone as low in my esteem as I could go, I thought about that teaching… about vaśīkāra and that it was not so much based on not feeling anything and being devoid of exuberance when there is fanfare around you, or it was about not dealing with sadness or anger when you have felt cheated or hurt. 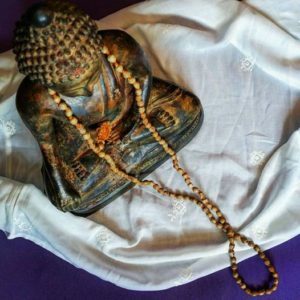 You allow yourself to surrender to those feelings but then you should quickly force yourself back to your daily rituals of life – cleaning the kitchen, doing laundry, or giving back to one’s “family” and community, realizing that my worth should be associated with how I make the world a better place in tiny ways. I was really excited to sit down for a press lunch with Victor Schoenfeld a couple months ago. Victor is the head winemaker at Golan Heights Winery and is credited with starting the wine quality revolution in Israel. 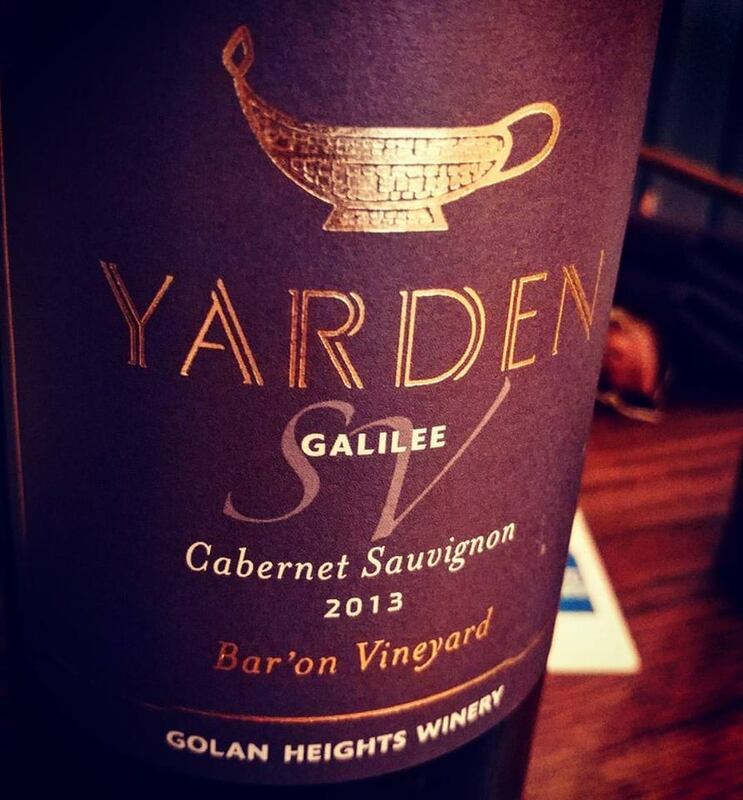 Earlier this year, I had been on a wine press trip in Israel and visited Golan Heights Winery, but at that time, he was out of the country with the important responsibility of promoting and educating people about his wines as well as about the Golan Heights sub-region of the Galilee region of Israel. I was disappointed to miss him and so I was thrilled to be given an opportunity to pick his brain during this lunch in New York City. Victor is a warm and instantly likeable sort of person. He is at ease in his own skin and obviously likes talking to people and connecting. 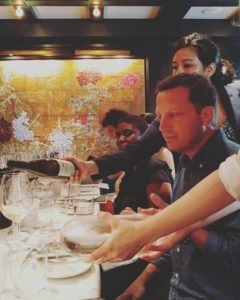 Some of us remarked that although he is a living legend in shaping the Israel wine world, he was very humble. He then noted that he ended up in this position, starting in 1992 as head winemaker, because of luck. 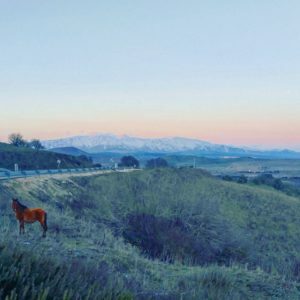 Born and raised in California, going to one of the top schools for winemakers – UC Davis – coming to Israel at a young age and being inspired to become a farmer – farming food for people to eat (Israel has many communities that share the cost of farming, and in some communities they share the profits). 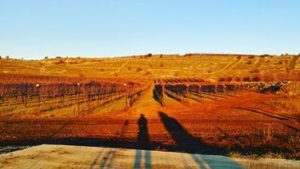 Through time and the influence of being a young man at one of the top enology schools in the world, he changed his focus to becoming a farmer of wine grapes. 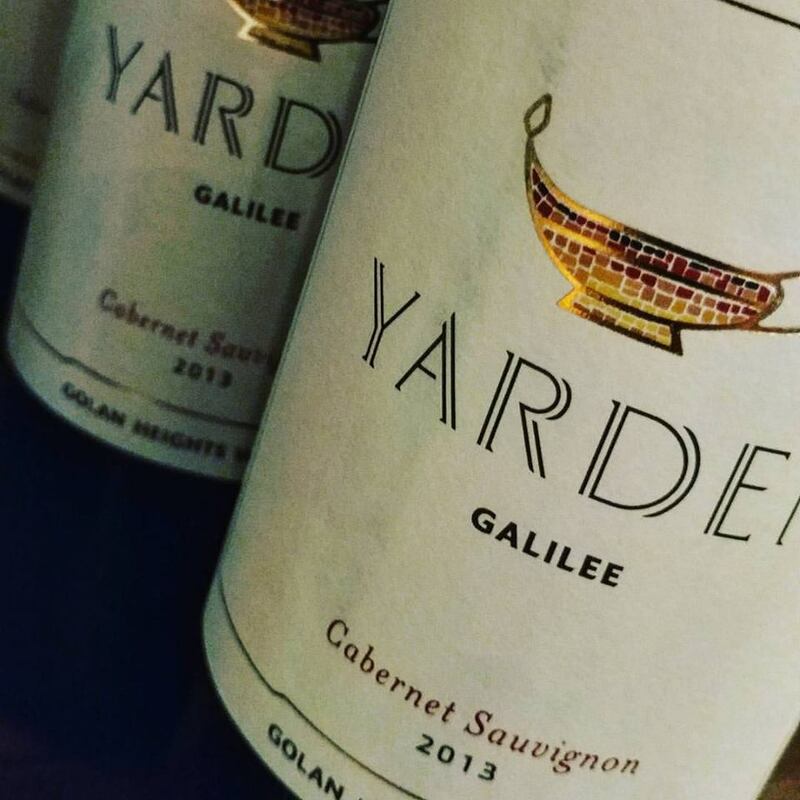 He said timing and working for a producer that was happy to invest in resources and research, such as Golan Heights Winery, were key to his success. Also, he said that it is easy to keep humble because every farmer gets beaten down by Mother Nature. Although Golan Heights Winery is in a highly regarded wine area in Israel with cooler temperatures at night (and sometimes during the day as I experienced 32F (0C) during my trip in January), higher altitudes, as well as having humidity which is important for vines not to transpire too fast (aka sweating water vapor) and so less likely to shut down, Mother Nature will still slap him and others who devote themselves to the land a harsh reality of what they can control and their overall importance when it comes to the bigger picture. Personally, I think it was more than luck that has built Victor’s reputation, but what makes him even more approachable is that he realizes that no matter how many awards and titles he receives, he will still need to go out and face those vineyards everyday and they will not always deliver what he expects, no matter how much of his blood, sweat and tears he gives them. But he recognizes that his faith is not any worse or fairer than anyone else’s and everyone has their peaks and valleys…. so no feeling sorry for oneself, let alone better than anyone else… and in that way, he is never alone. When I think back to that yoga lesson, I realize it is fine to shout out to the world, “Yes, I did this! Isn’t this awesome?” but it must be tempered by the realization that we were perhaps given a little bit more luck than others in that moment and we should ground ourselves in the idea that we are just part of contributing to something that is greater than ourselves – some call it God, or the universe; I’m more comfortable calling it my local, and even broader, global community. Because if we get attached to being too much about only oneself – my title, my award, my glory – then we imprison ourselves to live a very lonely life, a life where we face all our ups and downs alone. But if we immediately bring ourselves back to what it means to truly have value – to better other lives around us – then we will never be alone, …and when we fall from that high place of glory, as people do several times in their lives, our fall will not be that big, or make that much of a personal impact because we knew the whole entire time that we were already a worthy being who deserves love freely because we give it freely. 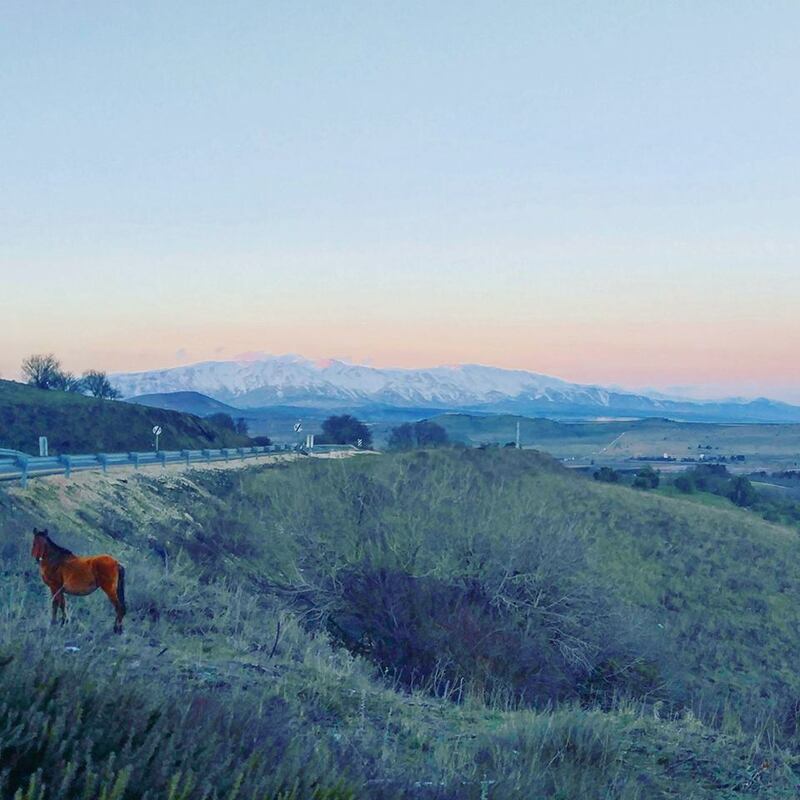 My visit to the Golan Heights with Mount Hermon in the background and a wild horse enjoying the open land. 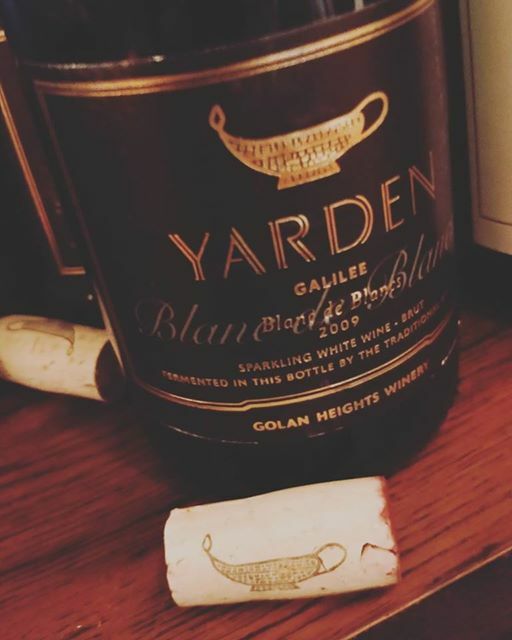 All Golan Heights Winery wines are kosher although I hesitate to even mention it because some interpret this as having a negative effect on quality or meaning it is intended for only religious Jewish people. 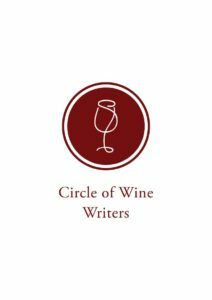 Please note that it means neither of the aforementioned concerns as it does not alter quality, and the wines are for everyone – actually they sell quite well in Japan. 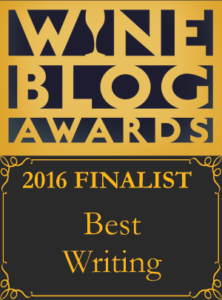 Being kosher only indicates that the wines were made in a safe environment for those who follow kosher law. 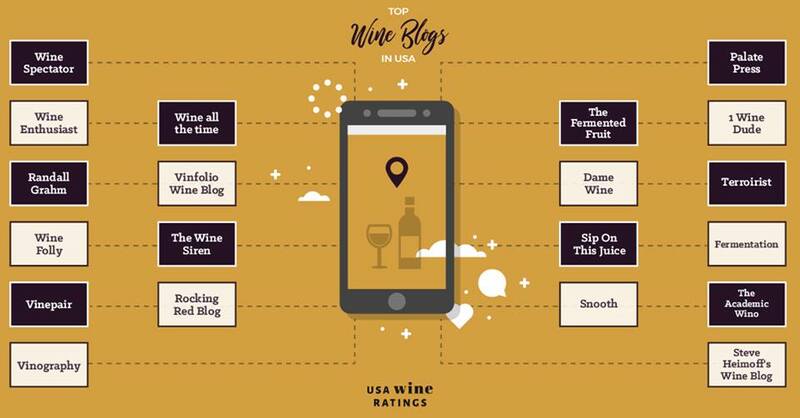 I hope these wines will be shown a little more love with proper placements on wine store shelves and in online wine stores as being quality wines, not just lumped into the kosher section. 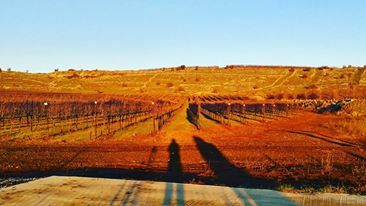 The Golan Heights is in northern Israel, a sub-region of Galilee, and has very different geographical aspects than the regions surrounding it. It is a volcanic plateau with basalt and tuff soil, rising to 3937 feet (1200 meters) above sea level. The area benefits from moderating influences such as the snow covered Mount Hermon, which I saw with my own eyes during my trip there. Also, a fun side note, there are wild horses that gallop freely in the Golan Heights. 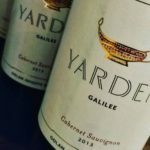 Yarden series of wines: Each year, the finest grapes from the best vineyards are reserved for Yarden wines. 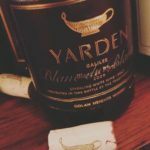 -2009 Yarden Blanc de Blancs Sparkling Brut: 100% Chardonnay. 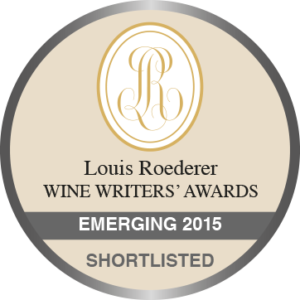 A traditional sparkling Blanc de Blancs with toasty notes, zingy green apple and lime blossom flavors. 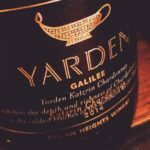 –2011 Yarden Rosé Sparkling Brut: 72% Chardonnay and 28% Pinot Noir. 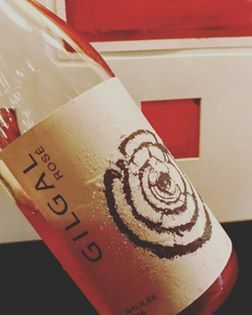 A traditional sparkling rosé with delicate, fresh strawberry notes, surprisingly intense minerality and hint of spice. 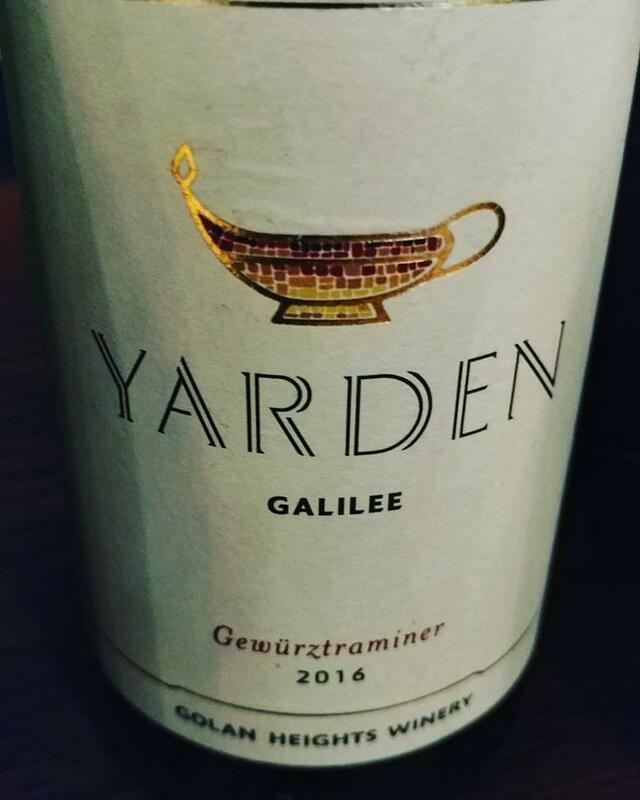 –2016 Yarden Gewürztraminer: Majority Gewürztraminer. 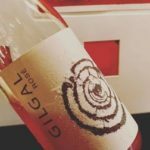 This is a delicious, rich white wine with ripe mango, lychee syrup and a lift of rose water flavor on the finish. This would be perfect with Middle Eastern food… which is fitting because it was made in the Middle East! -2014 Yarden Katzrin Chardonnay: This wine proves that you can be big with finesse… the oak was so well integrated that no one at the table could guess that it was made with 100% new French oak. 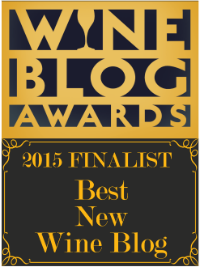 Victor just smiled at our surprise and said that he tasted many MWs, MSs, wine experts, etc. 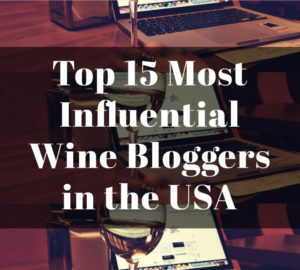 on this wine and no one had ever suspected. It all comes down to the quality of the oak and selecting his best Chardonnay grapes. This wine is complex, yet balanced by vigor and brightness. 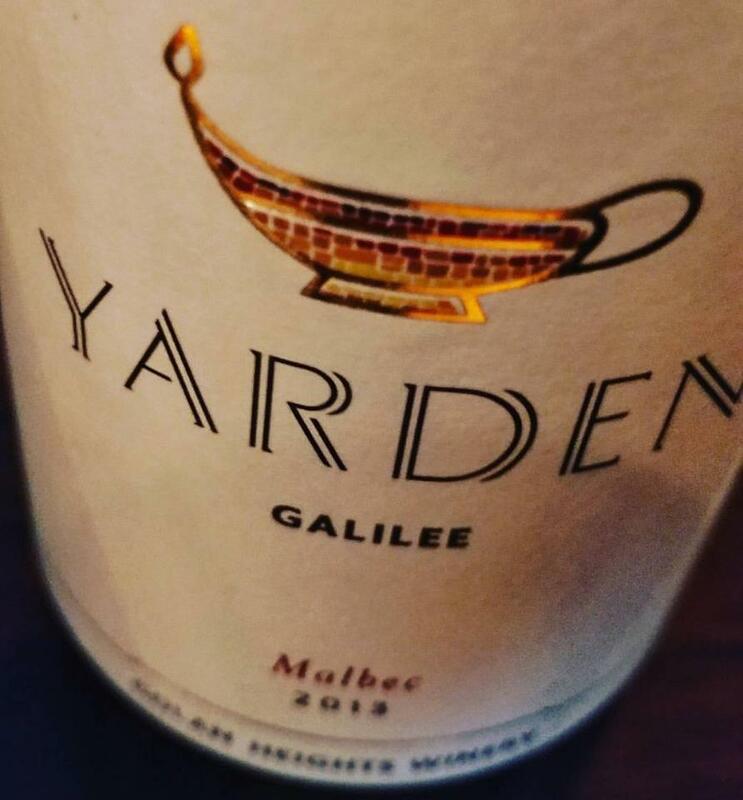 Nutty aromas, baked apples and a full body with tannic structure supporting its weight makes this wine a pleasure in every way. It was open at this stage but could continue to improve for at least four more years. 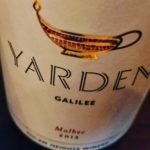 –2013 Yarden Malbec: Malbec from the single vineyard Yonatan Springs at 700 meters (2,300 feet). 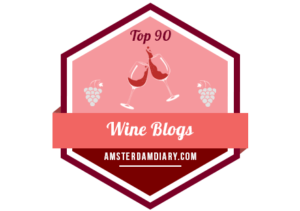 The nose was exciting with violets and dried tobacco notes; the body was elegant with fine tannins and fresh blue fruit. 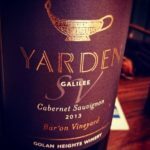 -2013 Yarden Cabernet Sauvignon: This is Golan Heights Winery’s flagship wine – it offers so much for only 35 bucks! Blackcurrant leaf, sage and basaltic soil with big, manicured tannins that give muscle to the body of this wine. 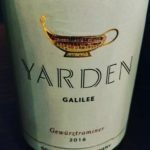 -2013 Yarden Bar’on Vineyard: 70% Cabernet Sauvignon, 19% Syrah and 11% Petit Verdot. 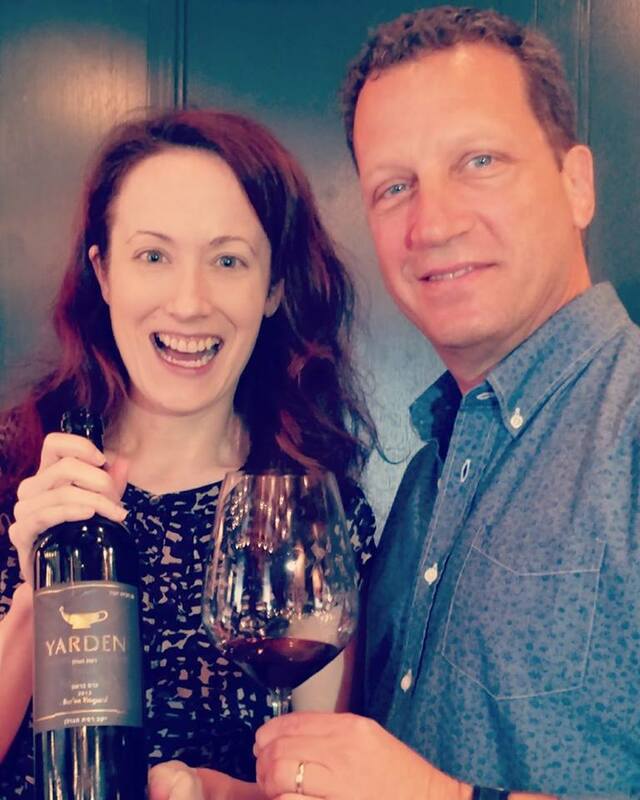 The 2013 Yarden Bar’on Vineyard is the first ever release of a single vineyard blended wine from this vineyard. Opaque color with fresh notes of mint, gravelly earth and graphite with majestic laced shaped structure. Only 20 barrels made. 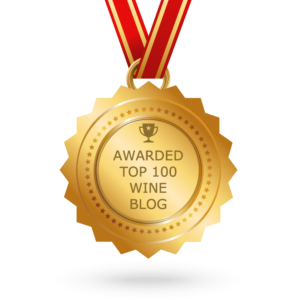 This entry was posted in Uncategorized and tagged Blanc de Blancs, Brut, Cabernet Sauvignon, Chardonnay, Gewürztraminer, Gilgal, Golan Heights, Golan Heights Winery, Israel, Israel Wine, Israeli Wine, Malbec, Red Wine, Rose, Sanskrit, Single Vineyard, Sparkling, Sparkling Wine, vaśīkāra, White Wine, Wine, Winetasting, Yarden, Yoga. Bookmark the permalink.